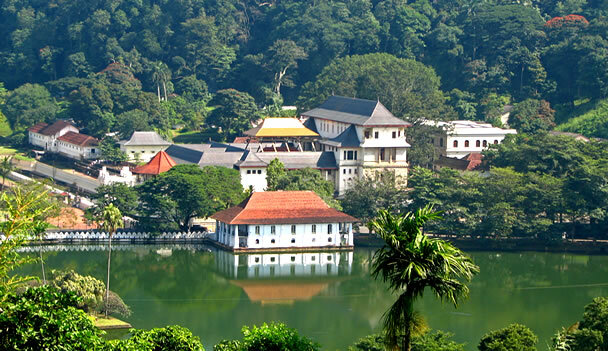 Dalada Maligawa – Sri Dalada Maligawa, also known as the Golden temple or the Temple of the Tooth is a venerated Buddhist worship location as it preserves the Sacred tooth Relic of Lord Buddha. A noticeable feature of the temple is the golden canopy that makes it easily identifiable from far away. Spice Garden – Enjoy Sri Lanka’s world renowed spices in garden where it smells of cinnamons, pepper, cardamom, nutmeg and mace that overwhelm your senses! Pinnawala Elephant orphanage – Established in 1975, Pinnawala Elephant Orphanage is a breeding ground for wild Asian Elephants. The aim of the orphanage is to protect and care for the orphanged elephants in the jungles of the island. A natural habits is presented to the elephants were they re taken to the river twice a day and elephants below three years are bottle fed by volunteers.